YOU CAN’T DIAL 999 FOR ME…. We as a nation are the ultimate dog lovers. To be more specific, the most popular individual pet owned in the United Kingdom is the dog, with 26 percent of people owning one. The love, care and time along with the money we spend on our dogs is of the utmost importance and some people will stop at nothing to ensure their dogs have the best care possible. But how many dog owners and those that work with dogs actually know how to care for one in an emergency situation. Would you know what to do if the dog in your care was choking or was bleeding as the result of an injury? 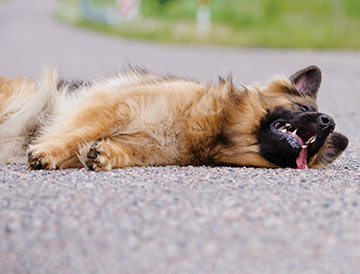 Do you know that dogs can actually go into shock or in the worst-case scenario require CPR? We at Tillycroy Services want to empower all dog-lovers with the skills and confidence to be able to provide immediate first aid to their pets in a medical emergency. Our courses have been written and developed in association with Veterinary Surgeons and are supported by many of the vets within Aberdeen. All course content has been written to comply with The Animal Welfare Act 2006, the RECOVER 2012 guidelines and The Veterinary Surgeons Act 1966, updated August 2016 in respect to the treatment of animals by unqualified persons. The courses have proved to be both popular and beneficial to professionals working within the canine industry and dog lovers who wish to further their knowledge and be able to provide care for their dog or dogs in their care in the event of an emergency. Training is very hands on with dummy manikin dogs to practice with and the skills learnt can also be transferred in the event of an emergency to all small mammals, cats and rabbits. Our courses are delivered by experienced instructors who bring with them the knowledge and working background necessary to make the course an enjoyable learning experience. 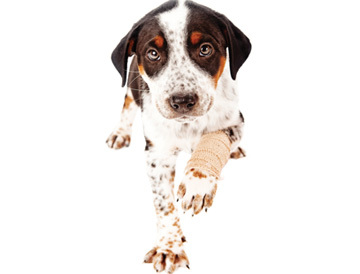 Your trainer will also be a fully registered Canine First Aid trainer who holds the current qualifications to deliver training in both human and canine first aid, along with having a vast amount of experience from being a dog owner themselves. Why not book yourself on to one of our open courses which are held in various locations throughout the country. If you wish, we can deliver these courses for your own individual group with a minimum of six attendees.